Milhouse and JuJu are great friends. Why? For starters, they put up with my constant yammering about food and they still continue to eat with me. Second, they often order way too much food to my complete joy. Third, they are really accommodating where they will travel for food. That was the case just prior to Burger Palooza (like I needed more food...). 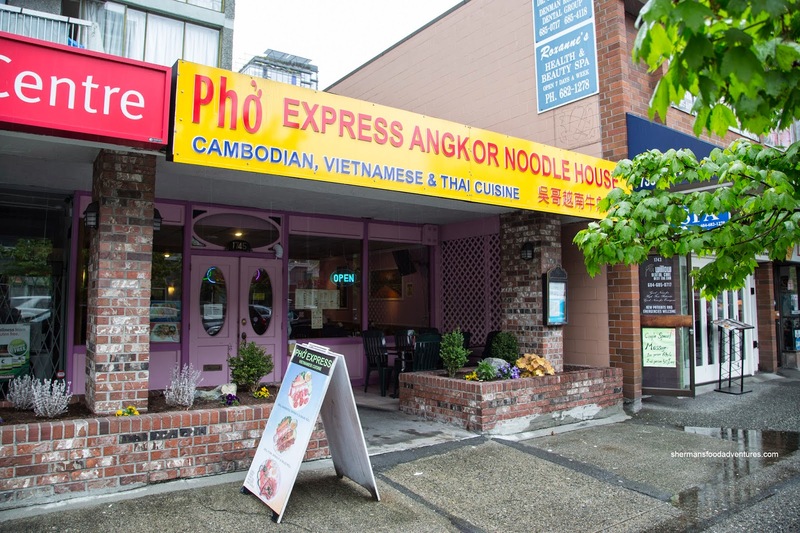 I needed to be on Robson, so they joined me at Pho Express Angkor Noodle House. Although they boasted Thai food, we stuck with the Vietnamese portion of the menu. We shared an order of Spring Rolls to start which were constructed with rice paper. However, we found it to be fried too long and/or the rice paper had dried out too much. Therefore, the exterior was tough exhibiting a firm crunchiness. 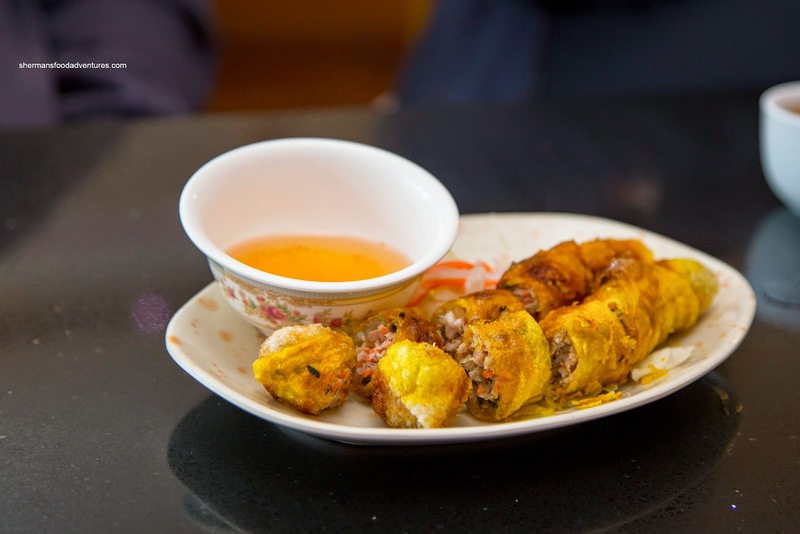 Inside, the filling was dense and that only added to the overall heaviness of the spring roll. It did taste okay though with mild hints of fish sauce and sweet onion. For myself, I went for a small bowl of Bun Bo Hue because I had another dish coming (you didn't think I'd eat only one small bowl right???). I found the broth to be super mild despite the oil slick. I didn't sense much lemongrass either. 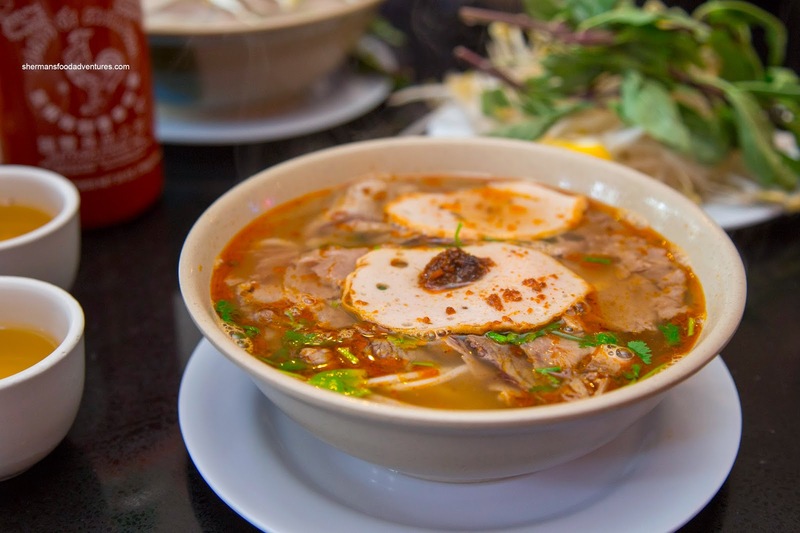 The soup was still flavourful, but just not in a typical Bun Bo Hue fashion. Noodles weren't too soft while the meats were tender. Both Milhouse and JuJu had bowls of Pho, however, Milhouse went for the XL size. 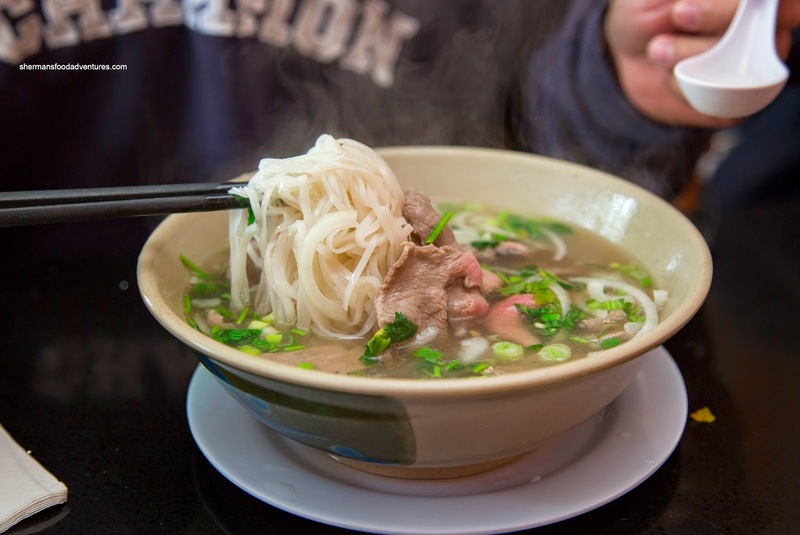 I was able to sample the broth and it was definitely more savoury than sweet. It didn't appear to contain much MSG as it was on the light side. We also couldn't pick out individual flavours either. Whatever the case, the flavours were clean. As for the noodles, they were plentiful and al dente whereas the meat were sliced thin and easy to eat. 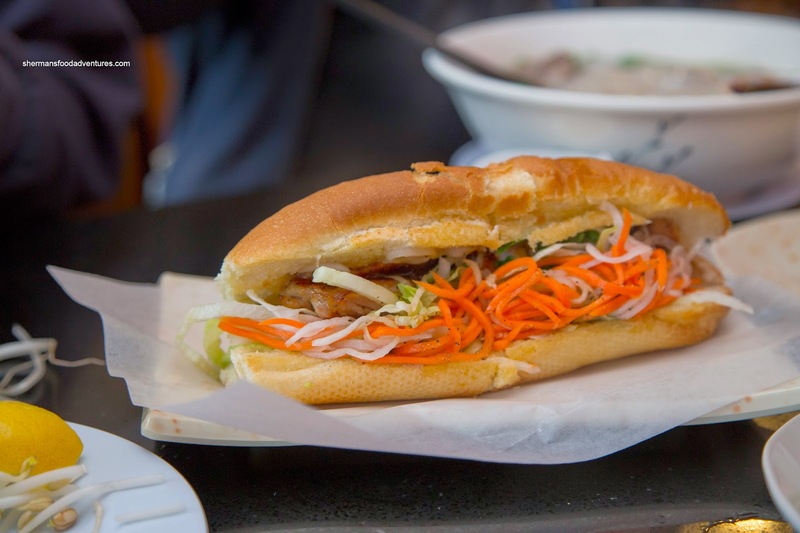 Not to be outdone, JuJu went for the Lemongrass Chicken Banh Mi as well. Hidden in the crusty and fairly light baguette, there was plenty of chicken. It was well-charred and flavourful, yet with only the lightest hint of lemongrass. The pickled veggies were julienned thin and more tart than sweet. 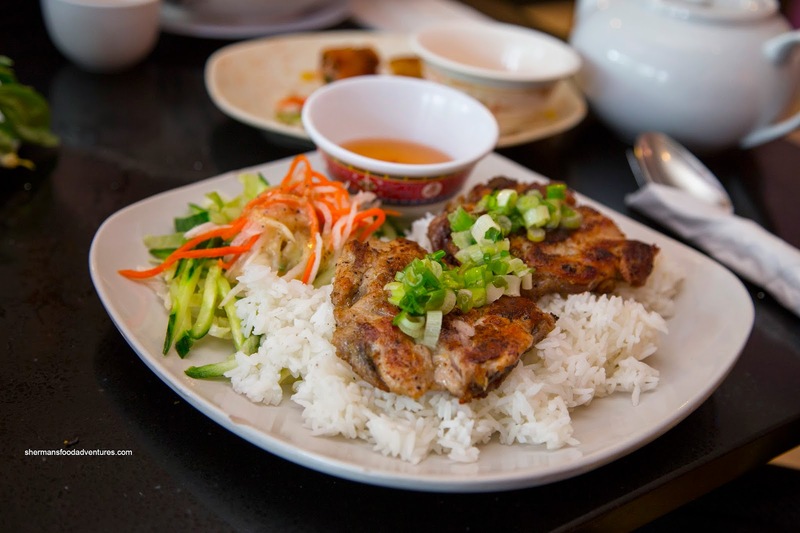 Lastly, I had the Lemongrass Chicken on Rice which was a bit anti-climactic as the meat was exactly like the one in the Banh Mi. It was well-charred where the skin was completely rendered. However, once again, the lemongrass was not really there while the chicken meat was a touch on the dry side. The rice was good though, being chewy while not dry. Although not without some faults, we felt the food at Pho Express Angkor Noodle House (what a mouthful!) to be more than acceptable given its location in Downtown and its reasonable pricing.